Well except for Pumpkin Muffins with Chocolate Chips. 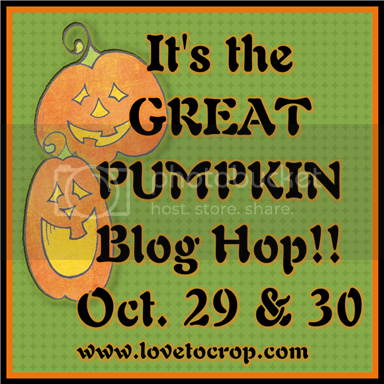 This is a TWO-DAY blog HOP, and it is all about the pumpkins!! Be sure to stop on by for each day of the hop as there will be NEW ideas on Saturday AND Sunday!! You won't want to miss a thing!! Prizes will be offered for visitors of DAY ONE and visitors of DAY TWO, but A GRAND PRIZE will be offered to those who choose to hop and comment on BOTH DAYS!! :) Hope to see you there!! Thanks so much for participating in the hop today!! Your card is super! I love the digistamp you used and your coloring is great. I wish my coloring looked as good as yours. Beautiful, love the bright colors. Such a beautiful and delicious looking card. The pie makes me hungry. Great job! What a great idea, love this. Such a cool hop. That is a yummy card! Makes me want some pumpkin pie! If I can only scratch and sniff my computer,so I can smell the pie. Looks awesome. Beautiful. Love the coloring of the project. Thanks for sharing! Like your coloring on the pumpkin pie card. Makes me want pumpkin pie with a dollup of whipped cream. I'll be making a Pumpkin Chocolate Cheesecake for Thanksgiving. Daughter does not like regular Pumpkin Pie but when I made the Pumpkin Chocolate Cheesecake style she liked it & requested I make it this yr when she comes home fro Thanksgiving from college. What a cute pumpkin card! TFS! Well even though you don't like pumpkin pie your card is still making me hungry!!!!! beautiful beautiful card - just love it!! super job on the easel , love the bright images. TFS. Happy Halloween. Love the card, i'm with you on the pumpkin pie, i don't eat it, yuck!! Can't wait to see what you made for tomorrow!! Thanks for sharing and love your blog!! I have been a follower!!! What a yummy card! Very sweet! Thanks for sharing! I love your card so much. I'm also right there with you on the whole pumpkin thin...I love pumpkin bread/muffins and pumpkin latte, but pie, not so much. My hubs Loooves it though, so I have to bake them for him. TFS! Awesome easel card. Love the images and colors. Nice being in the hop with you. Great card, but now I want pumpkin pie! Yummy! well i was back for day 2 but no card yet will check back love your day 1 card thanks for sharing and for the chance to win. I don't like pumpkin either but your project was wonderful! Stopping in for day 2. In this house it's exactly the opposite - I love pumpkin pie, but the hubby won't go near it!!! Cute card!! TFS! Very cute card and a great digi. I have a true confession as well, Your Majesty. Pumpkin does not cross these lips either. Why -- WHY, I ask -- woudl anyone combine a VEGETABLE with a sweet?! That seems dishonest to me. GIMME JUNK! Love your easel card, though. Wow, you did such a great job with these images, I honestly thought they were store bought stickers! beautiful pumpkin pie card. 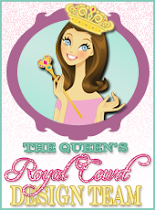 I so love your site/blog it's royal I am just getting to day 2, been busy, sorry. I work and can only blog at night after my chores are done (feel like cinderella). lol. Anyway great job! 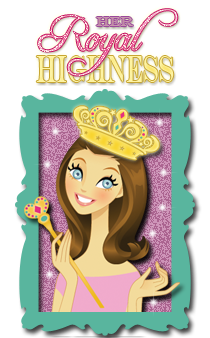 I love this blog hop and new talent and bloggers I get to meet.